Having recently watched an interview with Don McCullin on Sky Arts' Masterclass programme, I was struck by his unsentimental attitude towards his acclaimed career as a photojournalist. There was no bravado or false modesty here - simply a sober and thoughtful articulation of his most significant images and the often harrowing scenarios that impelled their creation. Measured against the forced levity of the interviewer Michael Parkinson - a stalwart of light entertainment television - McCullin revealed a considered understanding of the ethical implications behind both his photographs and his profession. Unlike most of his contemporaries, McCullin still prints his own images and, in the conversation, emphasized the particular atmosphere of working in the darkroom: isolated, immersed in darkness illuminated only by a red light, classical music blaring in the background. The delay between the capture and the development of an image is also significant here; from the instant of photographing a scene, to its reversal from negative to positive and its realization as a print. 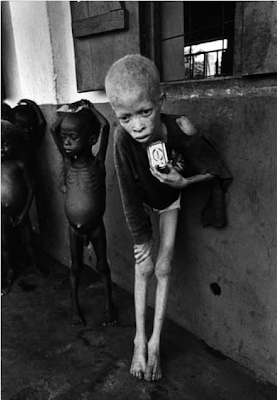 McCullin recounted one shot, a 1969 image of starving children in Biafra that he hadn't felt able to print in the past 20 years. The experience of developing the photograph seems to entail a re-living of this past moment. One doesn't return to such images lightly. When a member of the audience asked him how he felt about the state of photography in the age of citizen journalism, with images often captured hurriedly on a digital camera or mobile phone, McCullin didn't discount the importance or even the artistic value of such endeavours, but rather clearly situated his own practice within analogue photography. 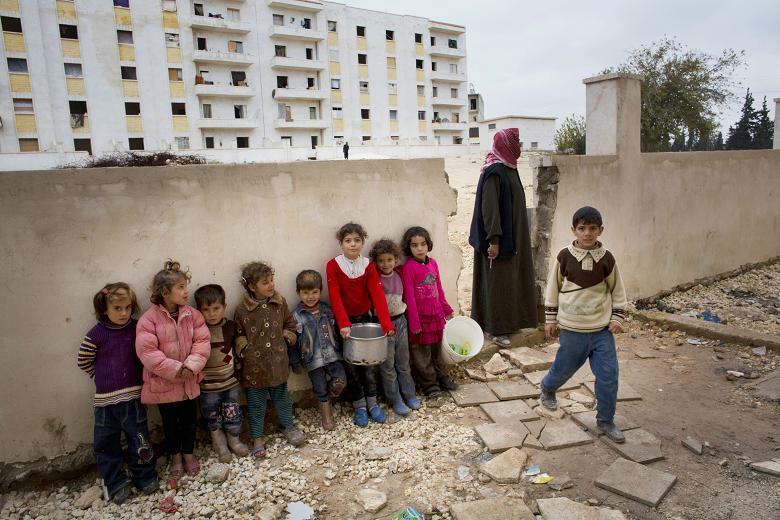 It's not that photography has moved on from the medium - since the interview, McCullin has been covering the conflict in Syria - but rather that, in his approach, the process of developing the image is inextricable from the initial recording. One might go further here and suggest that the very immediacy of digital photography, and its potential for an image to be taken and transmitted at almost the same time, reflects not simply a perceived absence of compositional intention but perhaps an absence of ethical intent too. In the interim between the image's capture and its production as a print, one might re-evaluate and think through its possible interpretations, and ensure that the photograph is instilled, as far as possible, with a contextual accuracy. To re-visit such pictures - of emaciated children or war-torn villages - is, at once, to distance oneself from the initial moment in order to speculate on their reception and to be immersed back into that moment. It is to feel the weight of responsibility, as both the photographer who captured the image as it happened and the adjudicator who decides to send it out into the world. In the darkroom, one still has time to consider this. That singing cast is pretty star-studded. A recording assembly with that many top jokers is either gone be grand and high energy or Manhattan-Medical-Arts completely derailed cat-herding. No doubt they can get a good gross though, high hopes.